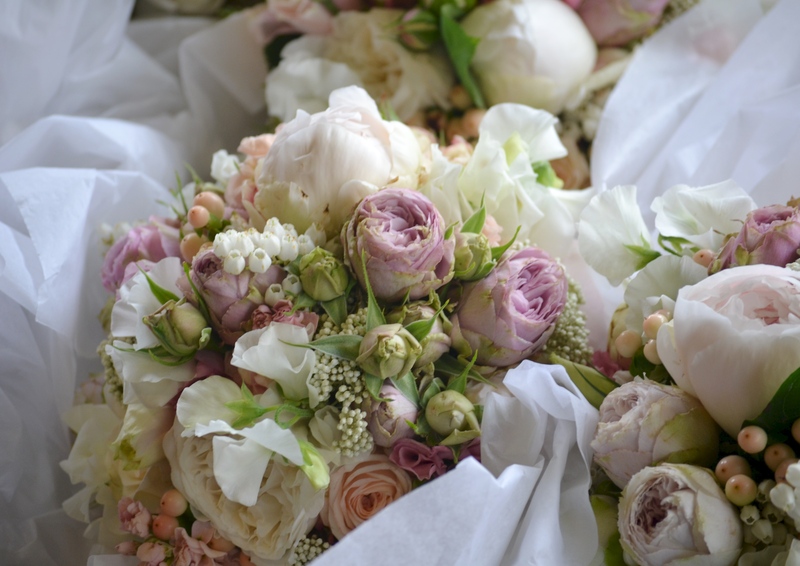 November Bride Julie didn’t want herself and her bridesmaids to look like cookie cutter versions of each other and so each bouquet was made with its own unique colour theme…….Sacha created an abundant bouquet of white and pink David Austin roses and peonies with green hydrangea , freesias and white sweet peas for Julie…..
Coral peonies, peach David Austin roses and cream sweet peas for one bridesmaid. 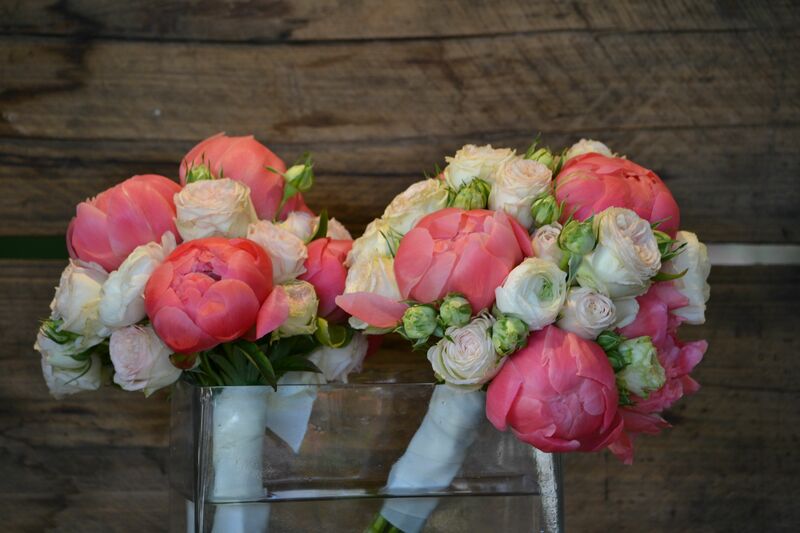 Buckeye belle peonies, pink sweet peas and Mr lincoln roses for another. 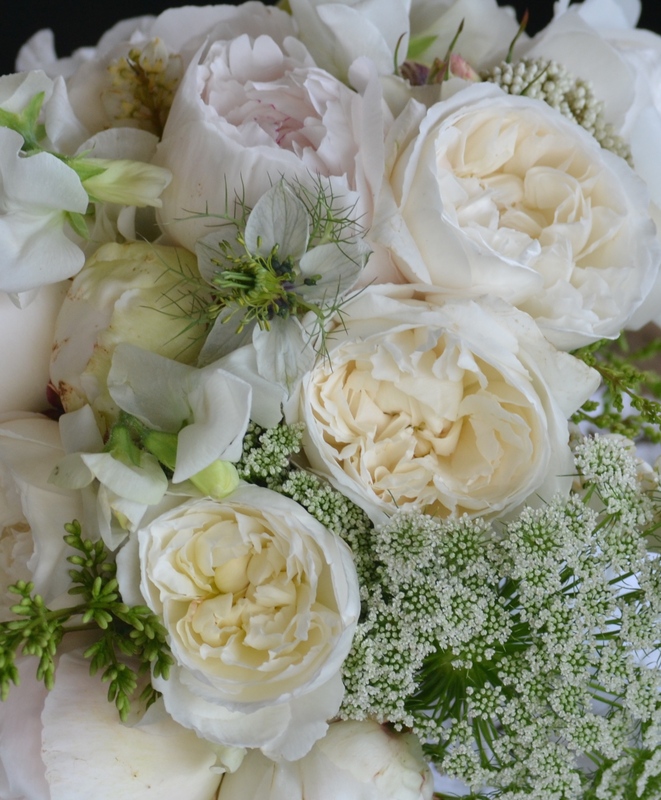 When you add in the spectacular weather on the day it seems like the best of Spring in one joyous event. 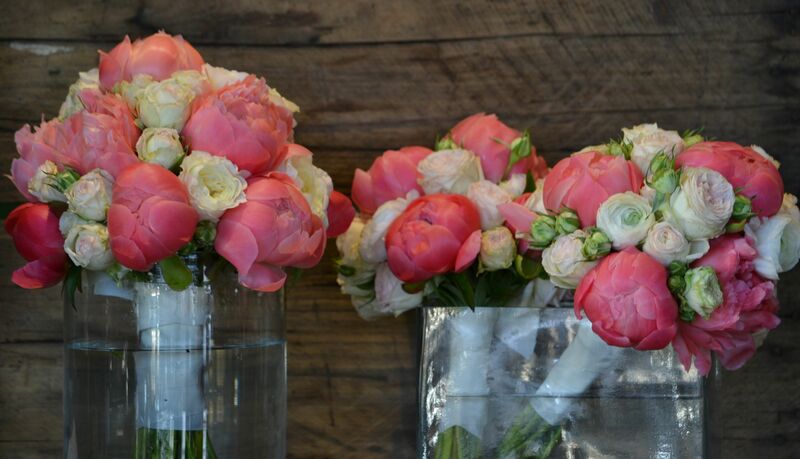 Peonies in the Nick of Time! 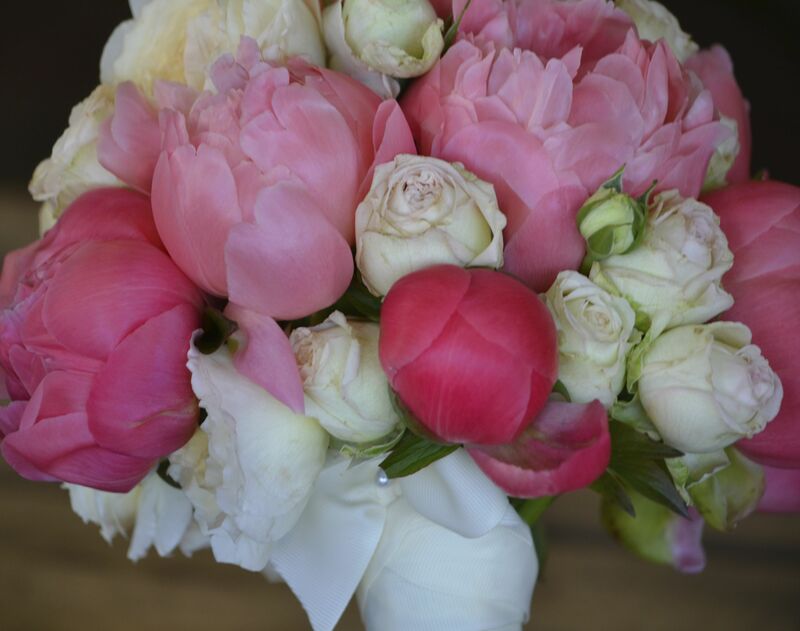 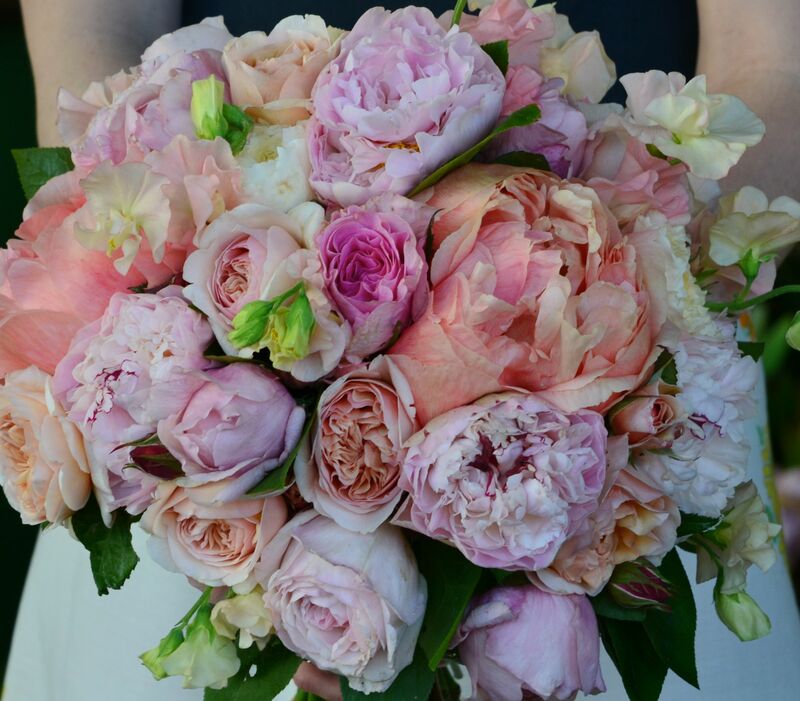 Bride to be Phoebe loves spring flowers but all of the images she showed us were of peonies so it was quite vexing that the peony season was so late in starting this year……. 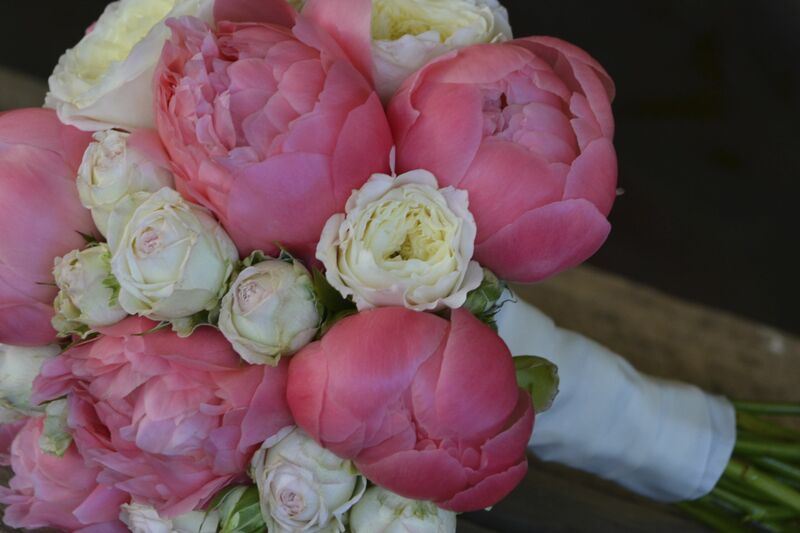 Luckily there was an 11th hour arrival of coral gem peonies, just enough to save the day and for Phoebe to carry her dream flower. 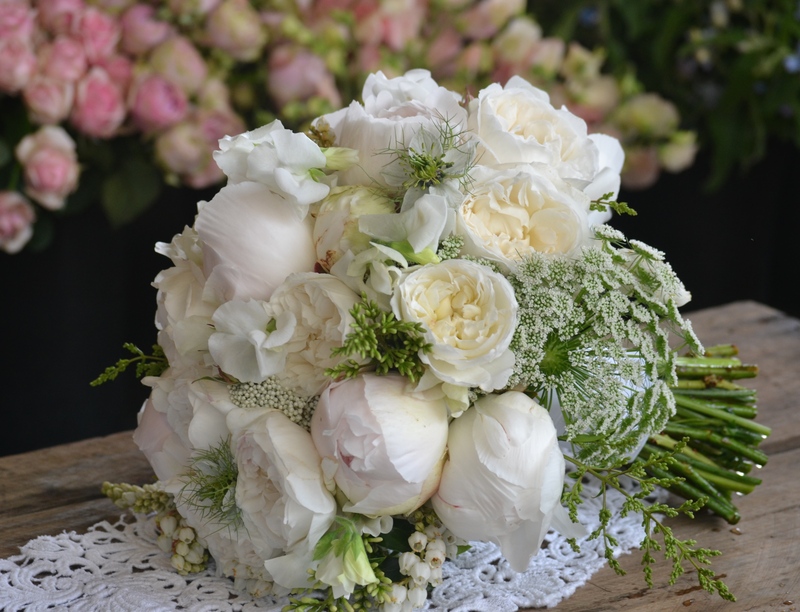 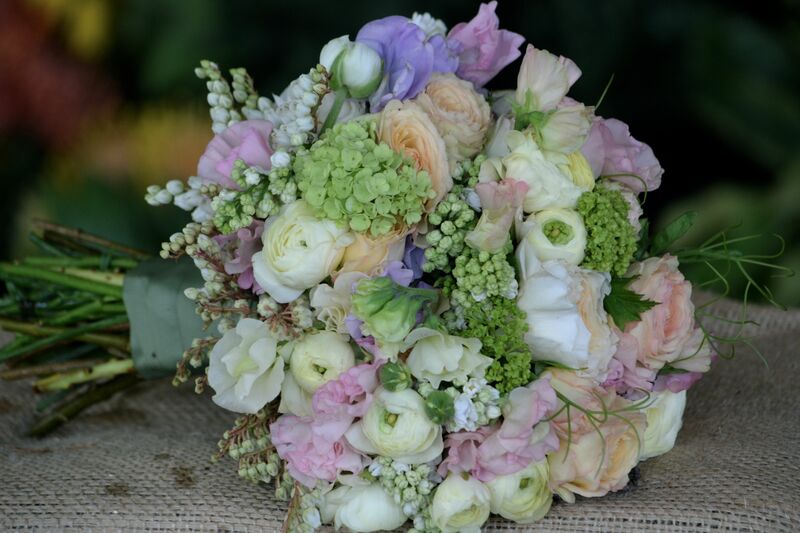 October Bride Monica, knew that she wanted soft colour , fragrance and pretty spring flowers in her bouquets and this is the perfect time of year for all of those things. 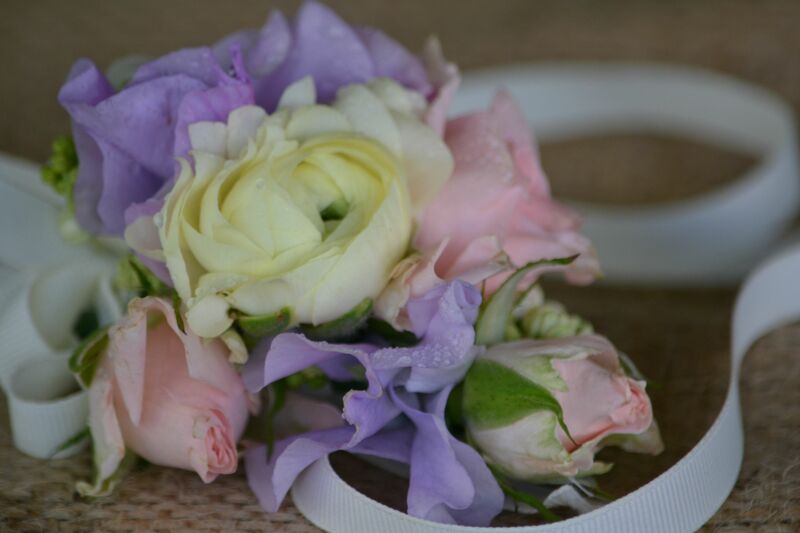 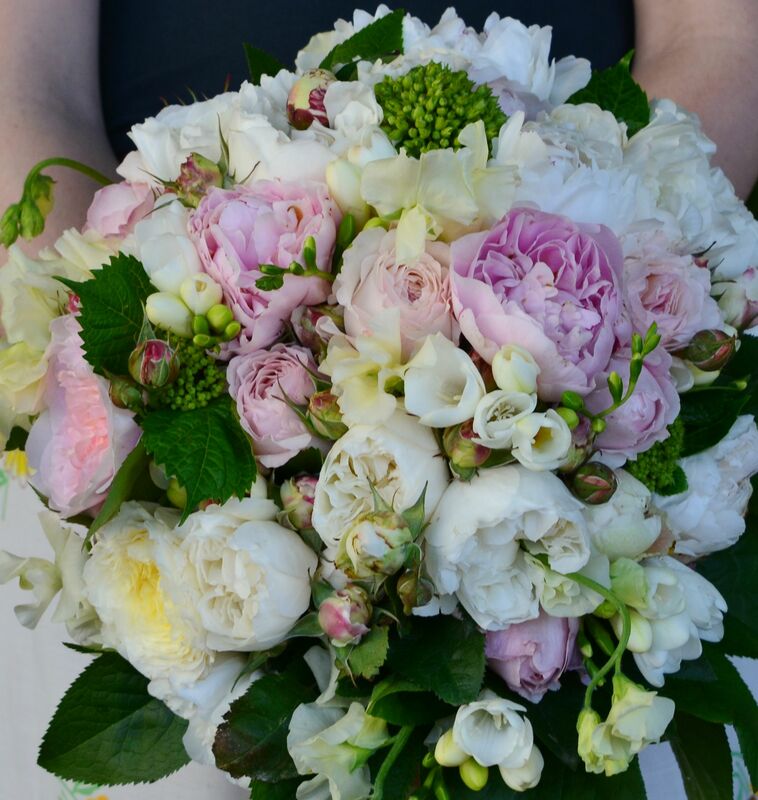 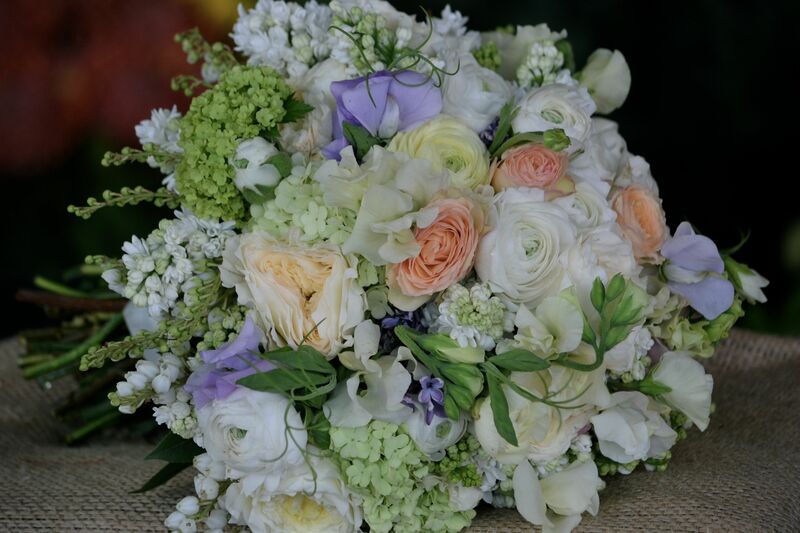 Sweet pea, snowball, lilac, ranunculus and David Austin roses made this wedding a joy to make. 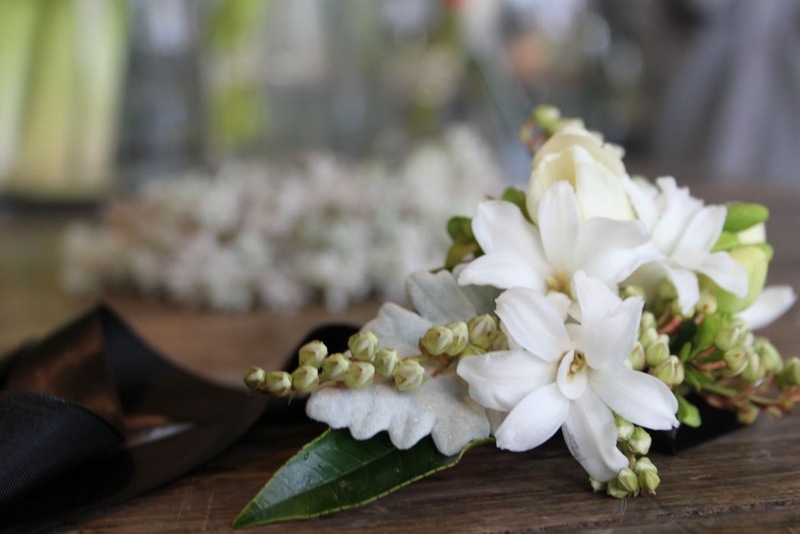 The jute bound buttonholes for the Boys and the pretty wrist corsages for the Mothers completed the joyous spring feel that was matched by the perfect Spring sunshine on the day. 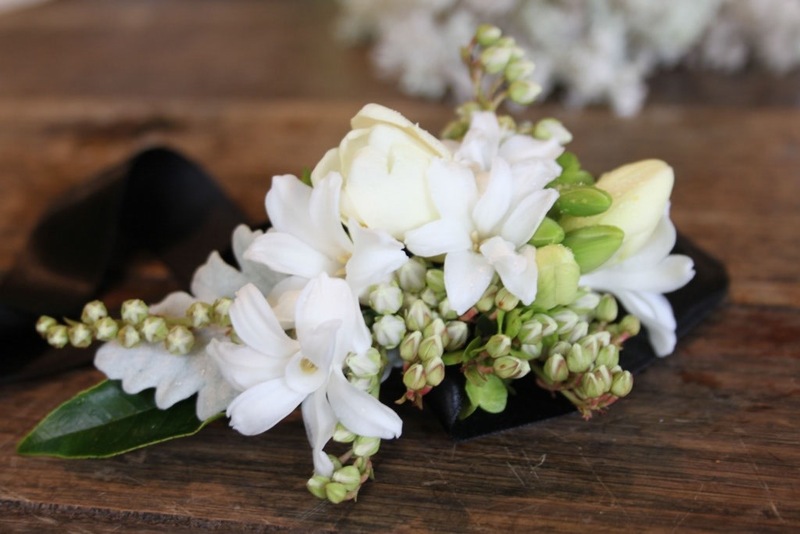 Wrist corsages have regained such popularity in the last decade that it is simply de rigueur to sport one at one’s school formal events. 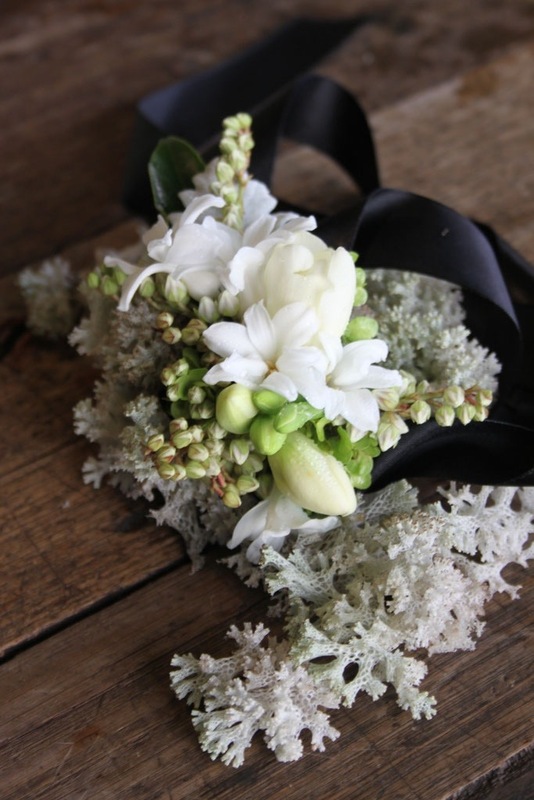 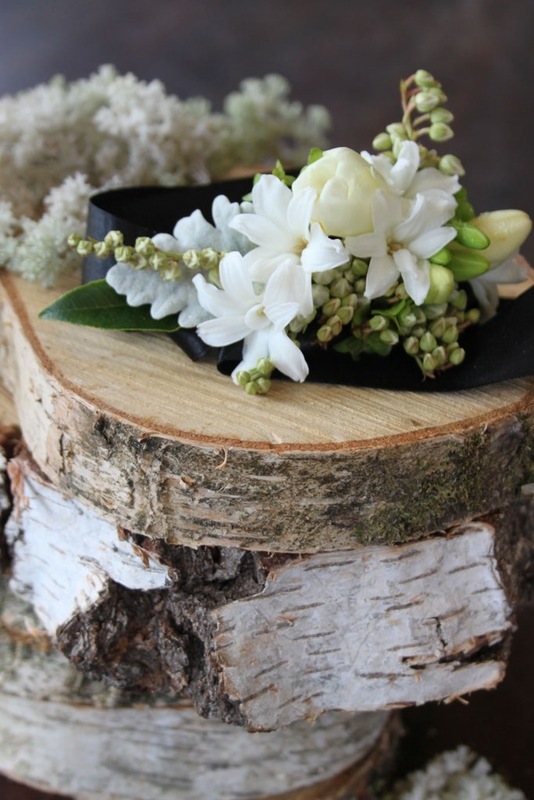 This corsage of hyacinth florets, freesia, andromeda and silver suede is attached to a black satin ribbon to complement the wearer’s elegant black dress. 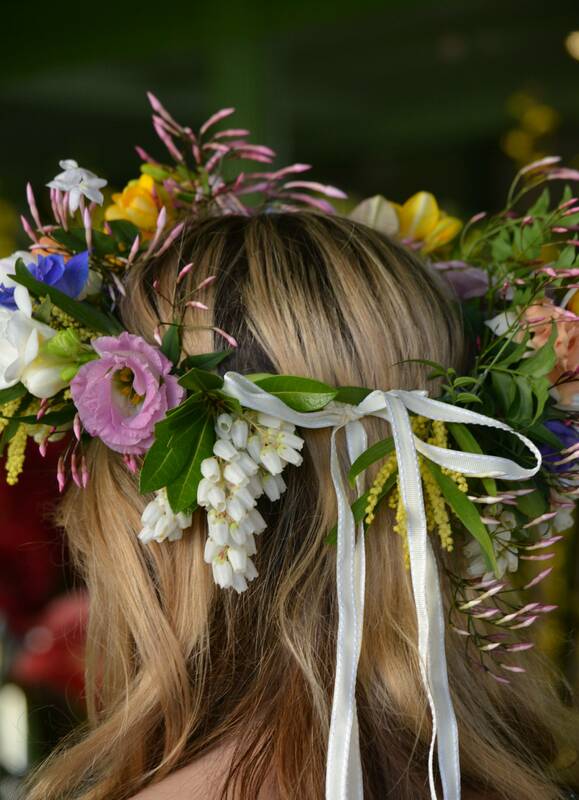 This gorgeous flower crown was designed and created by Sacha as a surprise head piece for a lucky bride-to-be on her Hens night. 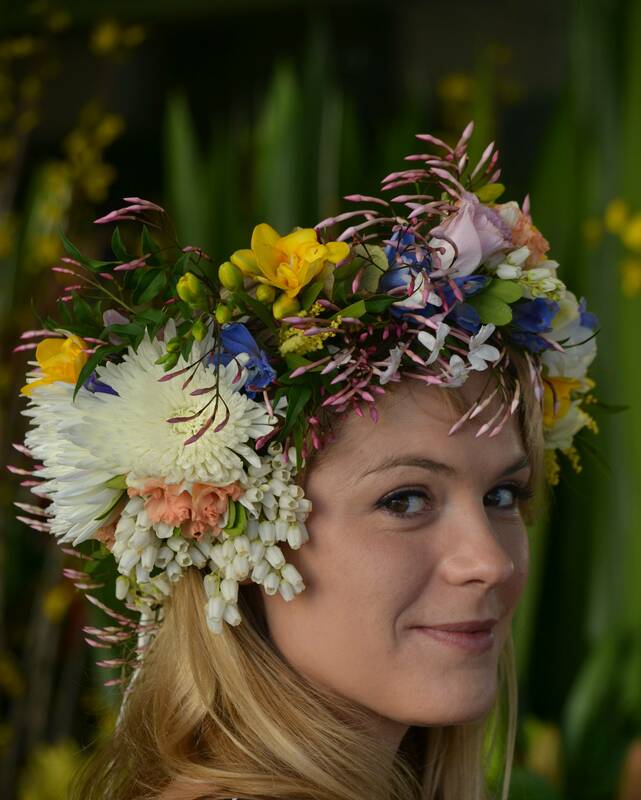 Her thoughtful friends worked with Sacha to create a stunning and unique garland that included daffodils, andromeda , freesias, delphinium and jasmine. 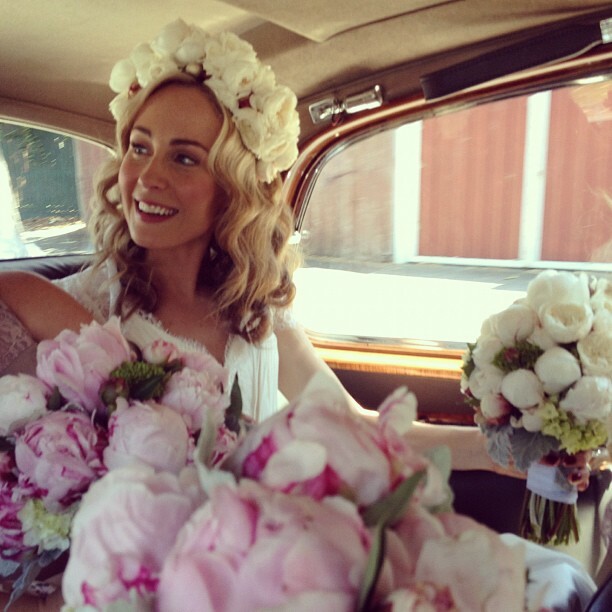 We wanted to share this beautiful photo of November bride Clare wearing the David Austin rose flower crown we made for her wedding day. 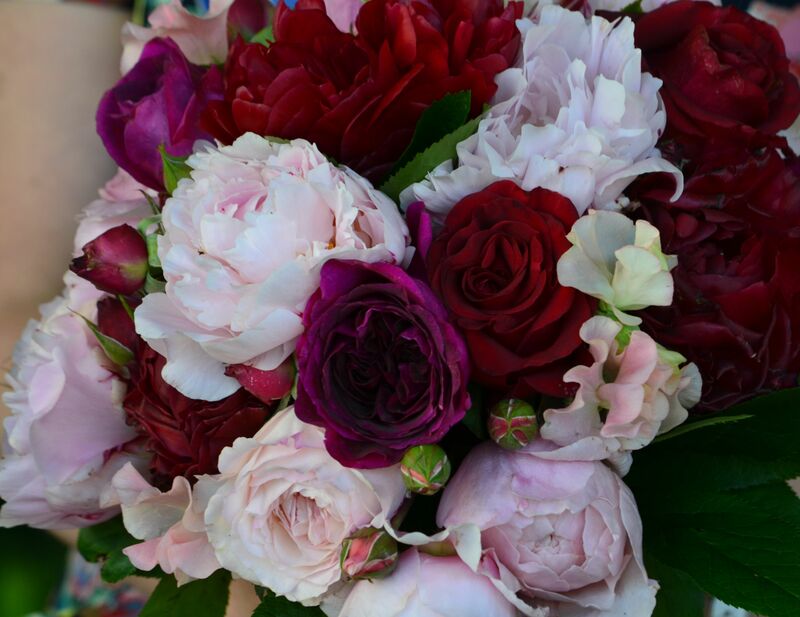 This stunning photo was taken by Photographer Harvard Wang. 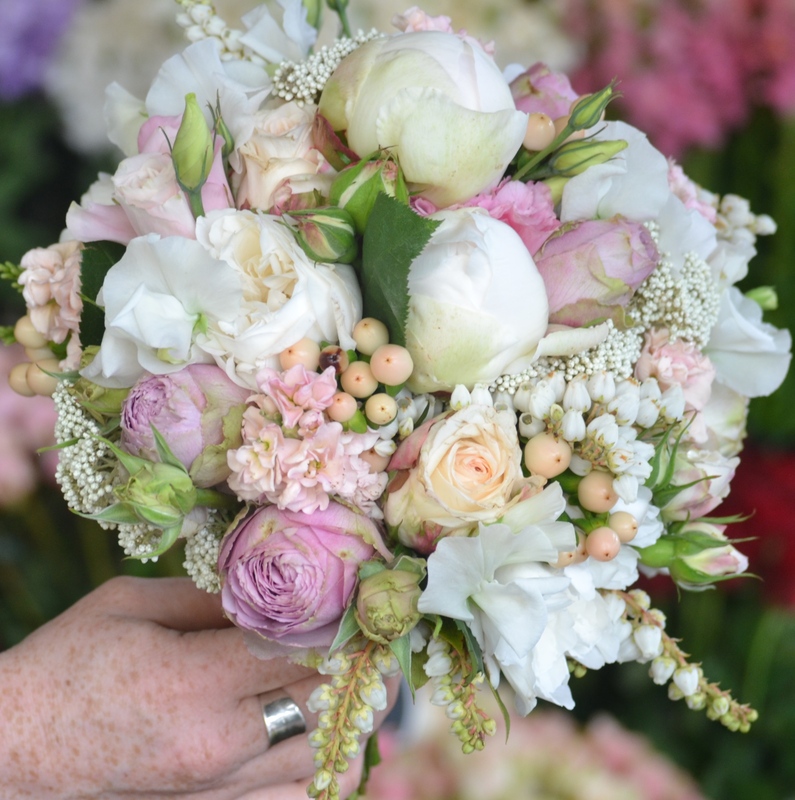 You can see more photos from Clare’s wedding at Polka Dot Bride.